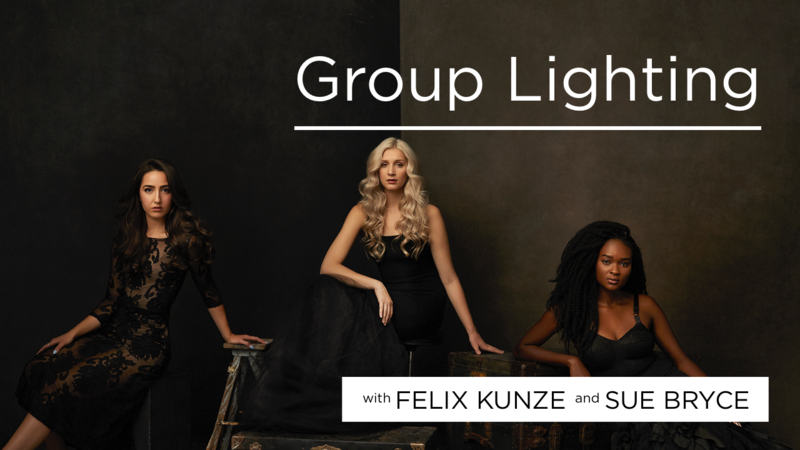 Lighting groups is often thought of as a daunting task, but in this series of videos Felix walks you through three different approaches to executing group lighting. Using what we’ve learned throughout the Lighting Series, Felix and Sue photograph two glamour setups and you’ll see how to easily and beautifully light each subject. Then Felix brings it all together by photographing a family of all ages as a group and as individuals.